"Robin Gardiner had written a manuscript about his conspiracy theory (the ship had been switched with her sister! ), but it needed work. His literary agent had once been mine, so she sent it to me. My role was to go back to the original sources and check them out for clues, and then to write the book, with line-by-line consultation with Robin. The publishers were disillusioned when the theory did not stand up but, thanks to the magnificent support of the late Dame Beryl Bainbridge and others, it became a bestseller in several countries (Japan, Germany, Italy) as well as Britain. The whole affair was great fun and, for once, decently rewarded." 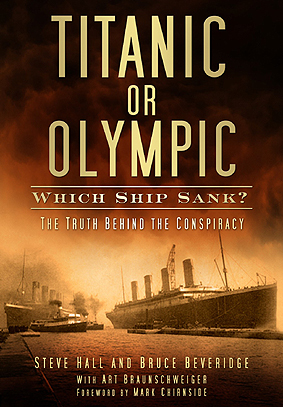 It seems that Van Der Vat, both in this biographical piece, in which he says "the theory did not stand up" and also in correspondence with Titanic author and researcher Paul Lee (http://www.paullee.com/) does not ultimately believe the theory is credible, allegedly calling the switch theory as "bilge." 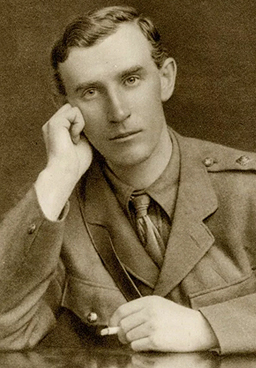 However, Gardiner did not stop with his first book. Several more quickly followed soon thereafter, including Titanic: The Ship That Never Sank? (1998) and The History of White Star Line (2001) and more recently The Great Titanic Conspiracy (2010). When Titanic fever was at its height due to the 1997 Cameron film, it is no surprise that Gardiner's book sold well. And no doubt the release of his most recent book was timed for the centenary. Tellingly Van De Vat, despite the fact the first book sold well, never co-authored another book with Gardiner; all further books were only by Gardiner himself. And curiously, while the first book was praised for its research and balance, with the final chapter even acknowledging that the wreck has Titanic's number 401 on it, debunking its own theory, subsequent books by Gardiner have been less well received. Michael Tennaro, a well-known Titanic bibliophile who reviewed the book on his website (www.titanicbooksite.com -sadly no longer active), described Titanic: The Ship That Never Sank? as "attacking the evidence instead of offering up alternate proofs. Many of the author’s criticisms are based on flimsy testimony from witnesses whose reliability is questionable. Contrary evidence, even if abundant, is ignored if it does not support the author’s agenda. These issues, taken together, damage the author’s credibility to the point that it is difficult to take his radical theories seriously." ‘That the collision between HMS Hawke and RMS Olympic may have caused more serious damage to the liner than its owners were prepared to admit at the time. That the enquiry, which automatically followed any collision involving a naval vessel, was not entirely unbiased. That, as a result of the enquiry, the White Star Line could not recover the cost of repairs to its ship from the insurance companies. That, given the immense initial outlay in constructing Olympic and Titanic, and the amount of income lost by the former’s two-month lay up following the Hawke incident, the owners and builders were left with serious financial problems. That the owners, with the help of the builders, might have decided to switch the brand new Titanic with her slightly older sister in order to get at least one vessel back to sea and earning money. in a letter to The Times in 1914. However, this was not promoting a conspiracy - in fact quite the opposite. The letter was entitled ‘A Titanic Analogy’ and Molony points out that "it is remarkable in that it unwittingly debunks in advance the claims of modern conspiracy theorists that the White Star Line would sink a vessel in order to reclaim the insurance." The letter was in response to a negative stance by The Times newspaper on a government bill that would give Ireland Home Rule, in which they predicted "civil war is absolutely inevitable" because of public apathy. The Times wrote that "people would not believe in the Balkan War until it happened. They did not believe in the Spanish-American War, nor in the Russo-Japanese War. If anyone had foretold the foundering of the Titanic on her maiden voyage, it would have been laughed aside as an impossibility... The present danger of civil war is very similar." Asquith's letter was a sarcastic response to the Titanic reference, in which he describes the ludicracy and improbability of the Titanic disaster being pre-planned. He references how "100,000 men in... Belfast" would have to be in on it and of "manipulating dummy icebergs." He ended with the sentence: "It is not improbable that some members of our race have too little imagination, but is it impossible that others have too much?" Hence a Titanic conspiracy in which the ship was sunk for insurance money was not only referenced by a contemporary participant in the disaster, but also debunked in a national newspaper only two years after the disaster. So why the resurgence? that "the theory did not stand up"
"In the end it was Harland and Wolff who provided an acid test. The Titanic had the hull-number 401 which, they said, would have been stamped on major parts built into the ship. The IMAX film shows a 401 on the port propellor. 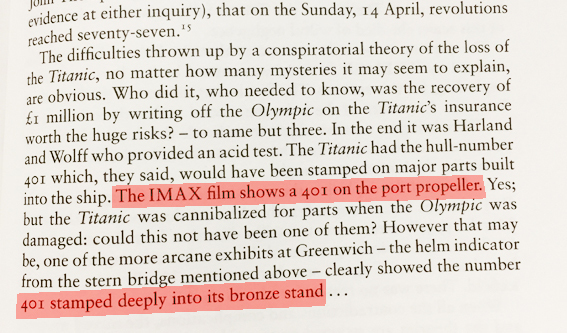 Yes; but the Titanic was cannibalized for parts when the Olympic was damaged: could this not have been one of them? However that may be, one of the more arcane exhibits at Greenwich - the helm indicator from the stern bridge mentioned above - clearly showed the number 401 stamped deeply into its bronze stand..."
An excerpt from the epilogue of Gardiner's first book "Riddle of the Titanic" (1995) entitled "Grave Doubts" where he admits it must be Titanic. "A conspiracy theory arises after a disaster because many people find it impossible to believe such a tragedy could just happen. Indeed for some a conspiracy theory is a psychological necessity, to help them come to terms with a shocking event. There is a manifest need for formal recognition of a widespread phenonmenon which we could call "specific post-traumatic paranoia", whereby people of sound mind, whether victims, their relatives or merely concerned observers, exhibit temporary and/or particularized paranoid symptoms as their way of coping with a disaster. How prophetic those words were! And rather disapponting that after acknowledging that it must be Titanic and that a 'switch' was indeed a conspiracy theory based on "paranoia" that Gardiner would afterwards continue to publish further books expanding on the claim - but notably his co-author Dan Van Der Vat no longer beside him. Clearly Gardiner and his publisher had realised there was money to be made. Van Der Vat had indeed acknowledged that the "Riddle" book was "decently rewarded" so perhaps not surprising that further books followed, despite this earlier admission that the conspiracy claim was impossible. 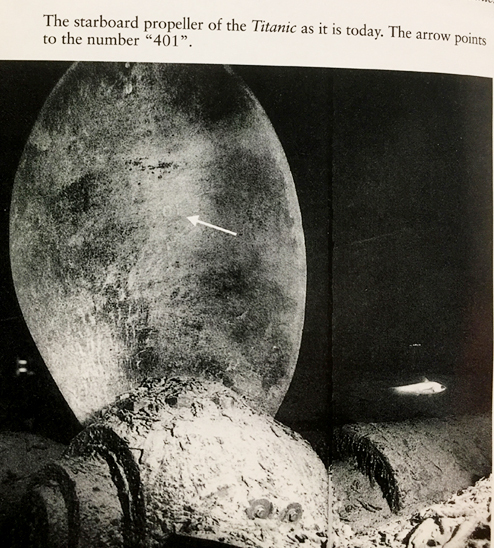 An image in Gardiner's first book "Riddle of the Titanic" (1995) shows the number "401" on Titanic's starboard propeller, admitting that the 'switch' could not be true. Note that he also tellingly describes it as "Titanic as it is today." While Gardiner's books have been popular, it was when television channels picked up on the conspiracy, and in turn, these documentaries found their way onto YouTube, that the switch theory began to really gain momentum. Documentaries have appeared such as "Why They Sank The Titanic" (2000, also known as Was the Titanic Deliberately Sunk by J P Morgan, based on the research of Andrew Newton produced by Barrie Kriel, directed by Tim Spring and narrated by Peter Willis), TITANIC – The Ship That Never Sank (Sky, 2004) and Titanic – The Shocking Story (2012, by David Davenport, Firefly Films). The very nature of these productions means that the persuasive voice over, dramatic recreations, emotional music, inaccurate computer graphics, unreferenced details, uncredited quotations and carefully selected excerpts from interviews can tell a very incomplete or obviously biased story. Conspiracies draw in audiences and have become a lucrative market. Rarely do they ever provide a balanced view of a subject. Notably, even Gardiner admits to fake or doctored images being used in documentaries to prove his theory, but also revealing that he is quite possessive of his material. A plasterer for more than 20 years, the Barton man had one of his manuscripts accepted in the early 1990s, which started a writing career which spanned two decades. His wife Lynn said not everyone liked his theories but he 'stuck to his guns' and believed in his research and conclusions. 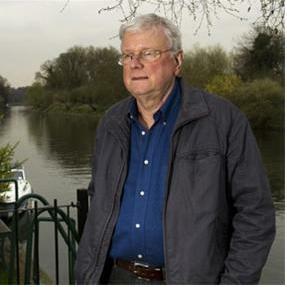 Robin Gardiner was born in Headington on May 24, 1947 to parents Audrey and Harold Gardiner, a military man who later worked in the Indian Institute. The middle child of three, he grew up in the area with his older brother Derek and younger sister Judy, and the family moved to the Barton estate. He went to St Andrew's Primary School and then Bayswater Secondary Modern School before completing an engineering course at Oxford College of Further Education. When he left college he became a plasterer working for a number of companies and eventually became self-employed. But his fascination with the Titanic began in his childhood and throughout his life he endeavoured to read everything he could on the ship and its doomed maiden voyage. He married his wife Lynn at the registry office in Oxford on January 20, 1979. When they met two years before, she was working in the Shotover Arms, which is now a McDonald's – a fact which annoyed Mr Gardiner every time he drove past it. The couple lived in Headington to begin with and moved to Brampton Road on the Barton estate. They had a son, Will, in 1981...At the beginning of the 1990s Mr Gardiner was told by doctors to stop working or a back problem could leave him in a wheelchair. But a few weeks later the manuscript for his first book was accepted by a publisher. 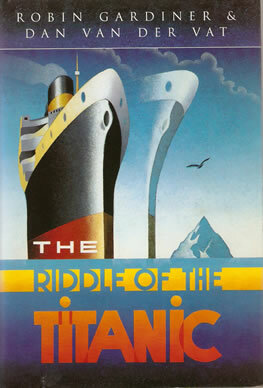 It was co-authored by maritime specialist Dan van der Vat and published by Weidenfeld Nicholson under the title 'Riddle of the Titanic'. As a result he was sent more information and evidence supporting his theory by readers around the world. 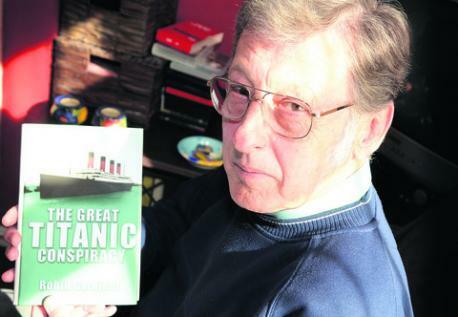 He added six more books to his collection – his own exclusive books 'The Ship that Never Sank' and 'Titanic Conspiracy' allowed him to fully explain his theory. His books were popular, both in the UK and America, but many sought to discredit his theory. His agent Graham Smith said a film project was being worked on in America at the time of his death based on his theories and that it could be produced posthumously. Aside from his meticulous research and writing he was a talented engineer and restored motorbikes, repaired cars and built radio-controlled model aircraft and locomotives in his shed. His funeral was held at the Oxford Crematorium on Monday 14th August, 2017 at 3pm. Flowers were asked to be sent to the to Co-op Funeral Services at Hendred Street, Oxford or donations made to the Stokenchurch Dog Rescue. However with surprising consistency and tenacity, the switch theory often appears on websites, forums and comments on YouTube and social media, often with the insinuation that if you do not believe a 'switch' occured then you have been fooled. This is despite such clear rebuttal and scholarship as the dissertation by Mark Chirnside just mentioned, but also in such books as Titanic or Olympic: Which Ship Sank? by Steve Hall and Bruce Beveridge, and also, by the same authors, the book Olympic & Titanic: The Truth Behind the Conspiracy.